Writer John Lindsay and Author House Publishing recently released Consider the Stars. The 300 page book is a collection of 16 Christian skits for faith-based dramatists. A great story, like a catchy tune, sticks with you. It can quickly get under your skin and be impossible to forget. Stories have the power to mold character. Christian sketches can be instructive, critical yet unobtrusive, and, at the same time, entertain. Consider the Stars’ stories include no superheroes or sorcerers yet succeed in capturing real conflict laced with a surprising amount of humor and surprise in the classic style of O. Henry. In the more dramatic works, “The Prisoner’s Task” and “Rachel’s Song”, the protagonists attempt to transform their respective opposition into heroes in true Dickens’ fashion. Four of the stories of the Consider the Stars collection were part of a production entitled Act of God which was first produced in Branson, MO in 2005. The first sketch, “What’s in a Name”, depicts a morbid game show made up of recently deceased contestants. The game (which nobody wins) serves to further annoy the players who are oblivious to their own shortcomings. The comedy is enhanced by the invasive timing of sound effects which magnifies the chaos. Act of God’s final sketch, “The Battleground”, leads the reader on an adventure through a series of vignettes and cameo appearances by notable personalities. The underlying focus of the sketch exposes life’s distractions and reveals the most important issue human beings needs to address. “Wear and Tear” is a sketch written by John Lindsay. Wear and Tear was first performed at Destiny Worship Center in 2011. This church-friendly drama is a short two-part comedy requiring two characters. This Christian comedy is ideal for a church or Bible study considering incorporating drama into its service or youth program. Below is the first half of this two-part sketch. If you’d like the full script, make a request for a complementary complete copy of “Wear and Tear” via email to lindsay@actofgodbranson.com. 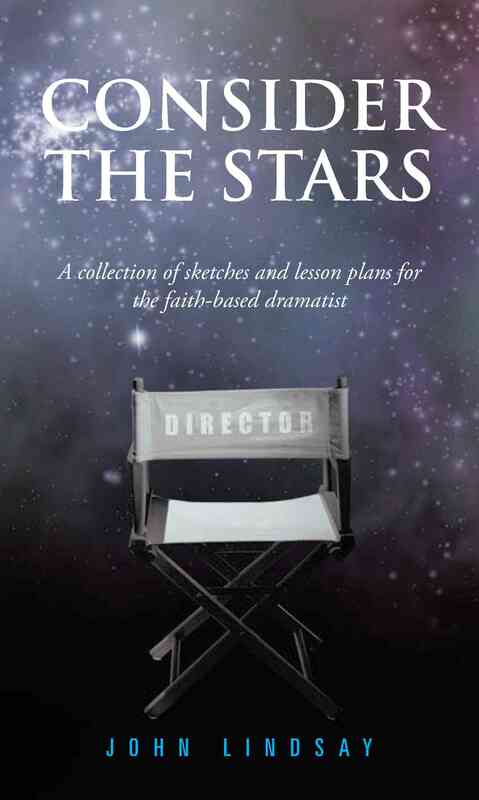 Keep in mind that there are 15 sketches for all occasions complete with lesson plans and scripture references in the collection Consider the Stars.